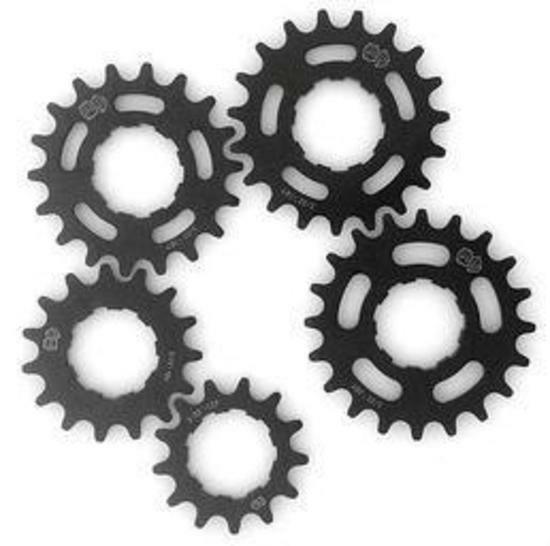 DICE Cog Splined 3/32 Single Speed CroMo 15T BLACK - DICE Parts Co.
Our cassette-type cogs are designed to fit on standard Shimano compatible freehub bodies. These cogs have a tall tooth profile that is essential for preventing chain skip from the extra torque a singlespeed drivetrain encounters. In addition to being a stellar Single Speed cog, the cog base width (where it contacts the freehub body) is 4.35mm, so you can stack a few of them up and use a 9-speed shifter for a simplified multi-speed drivetrain. This width also prevents it from ruining the freehub body as a result of digging grooves into it like skinny stamped cogs have a tendency to do. DICE cogs are machined from SCM415 CroMoly steel, then heat-treated for toughness and chrome-plated for surface hardening and enhanced chain lubricity. Our cogs will work with 6-9-speed 3/32" chains, although we recommend the inherently updated quality of an 8 or 9 speed chain. They are also available in every increment from 13-22t, so you can select that perfect gear. What makes our new Dice singlespeed splined cogs special? 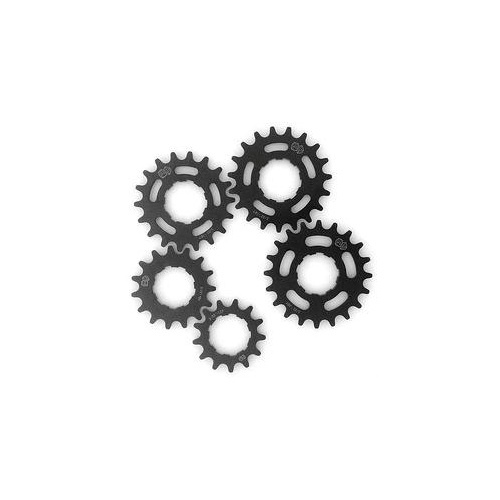 4) our "dual-rider" design means that you can flip the cog over when it starts to wear and get nearly twice the life from them!